Raptor Politics first published this appalling story on the 17th December 2013. However, because we have almost doubled the number of twitter followers in the past three months who may not have seen this important article we decided to re-publish in the public interest. The facts contained within Terry Pickford’s article, graphically highlight the unacceptable plight today of ‘protected’ raptors in the uplands of England, in particular on moorland used to shoot red grouse. We would strongly urge as many people as possible to re-tweet the article and pass details to your friends via Face Book. Thank you for your support. We would like to think our treatment of wildlife has improved since 1947 when Bowland’s only breeding pair of peregrines were shot at the nest and their clutch of 4 eggs destroyed. The reality is the situation today on England’s moorland uplands is almost as bad as it was all those years ago. In the spring of 2009 seventeen occupied peregrine territories were recorded by the North West Raptor Group in the Forest of Bowland. One year later Natural England, (the government’s advisor on the natural environment) with-held licences which had permitted the group to monitor peregrines in this special moorland region for over thirty five years; just 4 years later fifteen of these historic territories had been abandoned leaving one successful breeding pair. The NWRG had been warned persecution details together with reported incidents of poor field practice by at least one licensee highlighted on the Raptor Politics web site had caused embarrassment. The NWRG were further informed unless members signed a confidentiality agreement their licenses for use on the United Utilities estates would be revoked. Needless to say NWRG members would not sign such a restrictive and improper agreement. In the forty seven years I have been involved with raptor conservation in the North West of England, I have learned three important lessons. Firstly, red grouse shooting and birds of prey do not mix and I have serious doubt whether this position will change in my lifetime. Secondly, relationships with sporting estates are held in higher regard by Richard Benyon – the former Minister for the Natural Environment & Fisheries and Natural England – than the security of endangered raptors which the Minister and his Government’s Advisor have a statutory duty to protect. Thirdly, because of politics, the Hen Harrier, Peregrine and Goshawk in particular are just three raptor species being sacrificed, exterminated with impunity on SPA moorland in northern England where these birds should be safe but are not. The Popular Handbook of British Birds explains the peregrine falcon occurs chiefly in open, more or less treeless country. In the breeding-season it frequents the vicinity of coastal or inland cliffs, moors and mountain-sides. This historic description of breeding habitats may have been accurate until the end of the 20th century but today – resulting from widespread persecution on moorland where driven red grouse are shot – this situation has changed. Because of this fact the hen harrier for the fist time in sixty years did not breed successfully in England this year. Peregrines have become a very rare migrant, almost entirely disappearing as a regular breeding species throughout England’s northern uplands where they receive short shrift. Many reading these words both within the UK and abroad will be shocked to learn there are now more nesting pairs of peregrines inside London than in the whole of the Northern Pennines, the Yorkshire Dales, the North Yorkshire Moors, the Forest of Bowland, the Durham uplands and Derbyshire’s Dark Peak. If you have any doubts, please examine the appalling details I have enclosed below which tells its own tragic story. In the Northern Pennines historical territories once frequented by the peregrine have been reduced by persecution from 15 breeding pairs to just 4. This year 2 of these sites were unproductive and a third nest was robbed of a clutch of eggs. The last site was successful. Throughout Derbyshire’s Dark Peak of the 11 territorial sites only three nesting pairs were successful, producing 5 young this year. One additional site was established just a few hundred yards outside the Peak boundary. The North Yorkshire Moors. 2 historic territories no longer occupied, the area has potential for at least another 6 territories but being restricted by persecution. The Yorkshire Dales, this year of the 13 historical upland territories examined, I am aware of only 2 sites which were productive fledging a total of 4 young. Lancashire’s Forest of Bowland has witnessed an unprecedented peregrine population crash with only a single breeding success recorded this year. In the last 4 years fifteen peregrine territories have been found abandoned, resulting in the disappearance of at least thirty adult falcons that once occupied these sites. Totals: Of the 77 historic peregrine territories which existed on red grouse moors in the 6 regions above, only 11 pairs remain that I am aware of. In 2009, twenty five Bowland peregrine territories were examined by licensed members of the NWRG. Seventeen territories were found occupied, 6 of these sites failed following the disappearance of eggs and chicks. A total of eleven territories were productive fledging twenty four young. This result was considered by the NWRG to have been a very poor breeding season. Two female chicks vanished from a brood of 4 two days after the former Wildlife Crime Officer for Lancashire had invited gamekeepers, who were unaware of the nests existence, to witness the ringing of the 4 chicks. 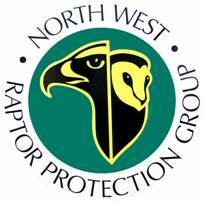 By 2011 the work undertaken by the NWRG was now being carried out by a small number of voluntary RSPB wardens who are also members of the recently established Bowland Raptor Study Group (BRSG). Unlike the NWRG, members of this new group agreed to sign the confidentiality agreement and are now licensed to monitor raptors throughout the whole of the Forest of Bowland. Compared to the seventeen territories found occupied by the NWRG in 2009, only 9 territories located on moorland owned by United Utilities were monitored in 2011. Although 7 of these sites were occupied containing eggs, just 5 eggs hatched; 2 pairs were successful fledging 4 chicks. I find it difficult to comprehend why the additional ten territories at a higher risk established on Bowland’s private estates do not appear to have been monitored at all in 2011? Was this perhaps because these sites had already been destroyed? 2013: Forest of Bowland Peregrines Reduced to one successful Breeding Pair. Working without licences, using telescopes to view nests, exercising common sense and a great deal of care to avoid any intentional disturbance, NWRG members checked twenty peregrine territories this season. To my surprise, only 4 territories were found occupied, two of which were ultimately found destroyed; just a single territory was successful this year. Was it a coincidence that in the 4 years following the removal of NWRG licences by the government’s advisor Natural England, fifteen of the territories occupied in 2009 had been abandoned by 2013? Let us not forget all 3 eagle owl nests under the watchful care of the Bowland Raptor Study Group were also found abandoned this year. A clutch of eggs from a fourth nest disappeared. With such depressing facts as these – the question must be asked, why aren’t the RSPB, Natural England or the Northern England Raptor Forum commenting or acknowledging this indefensible state of affairs? Do they too, want to see the Forest of Bowland become a ‘raptor-free zone’? Why are crucial persecution details including missing eggs and chicks, together with the loss of so many adult peregrines that once has occupied the fifteen abandoned territories being kept so secret? As peregrines continue to disappear from red grouse moors, not only in the Forest of Bowland but also from a majority of northern England’s uplands where grouse are shot, important SPA legislation is being ignored by estate landowners as well as the Minister in charge of Defra and Natural England. The disappearance of the Hen Harrier as a breeding species is a prime example of how England’s moorlands are being mismanaged and legislation introduced to protect raptors completely disregarded. Can the abandonment of fifteen historic peregrine territories in such a short period be a coincidence? I certainly don’t think so. Ask yourself, why so many peregrine territories have been abandoned without so much as a whisper from those tasked with conserving protected fauna and flora within Lancashire’s Forest of Bowland? Who should take responsibility for what has been allowed to happen? What purpose has now been served by revoking licences provided to the one raptor group who may have made a difference but were prevented from doing so because of politics? Sixty years of protection but the killing of ‘protected’ raptors continue unabated. I spent many a happy hour on the moors making up the Trough of Bowland during the late 60’s and 70’s. This was a time when the raptors in the area were at a record population low. I have just watched the report on ‘ Peregrine Holocaust ‘and I am disgusted at the disasterous situation the area finds itself again. The population levels have returned to the bad old days. Have we not learnt anything…! Why were the licenses of the Raptor group withheld by Natural England? They are a really dedicated group of individuals and I can only lay the blame on the actions or lack of actions of the RSPB. I seem to recall the Golden Eagle’s nest in the Lakes was robbed in the late 60’s due to lack of interest recorded by this ‘noble’ organisation!